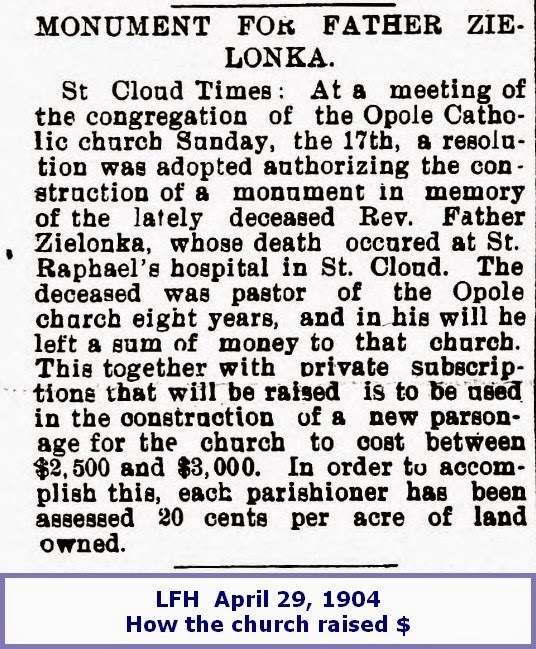 For instance, here's an interesting clipping from 1897. 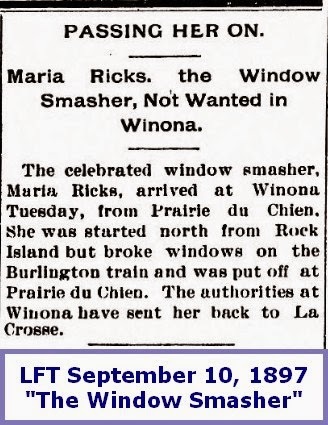 So this Maria Ricks went around smashing windows. Evidently, her evil ways were "well known", but really I suppose it would have been more trouble to arrest her and bring charges than to just pass her along to the next town. 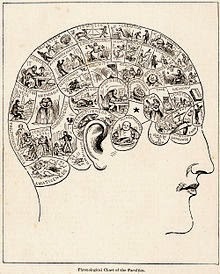 "Phrenology is a process that involves observing and/or feeling the skull to determine an individual's psychological attributes. Franz Joseph Gall believed that the brain was made up of 27 individual organs that determined personality, the first 19 of these 'organs' he believed to exist in other animal species. 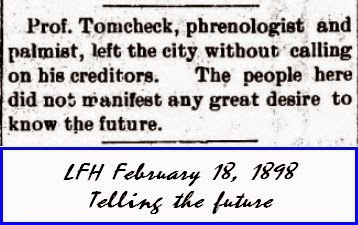 Phrenologists would run their fingertips and palms over the skulls of their patients to feel for enlargements or indentations...."
and palm reading was, of course, just fortune telling. Vee haff skeptical ancestors. 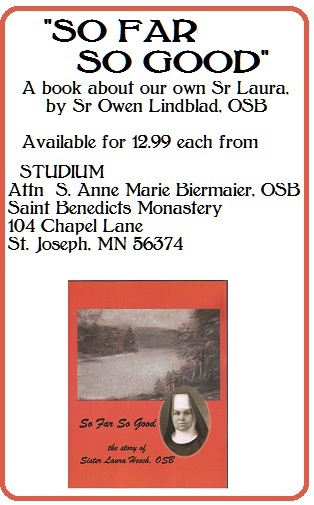 Would the professor have predicted that he'd skip town without paying?